Dr. Nelly Ben Hayoun is a designer of extreme experiences that aims to bring the sublime to life. These multi-dimensional experiential projects are on the intersection of science, theater, politics, education, and design. Dr. Nelly Ben Hayoun is on a mission to bring chaos to the world; she is the founder and director of the International Space Orchestra the world's first orchestra of NASA space scientists and astronauts; and most recently she founded the University of the Underground, a subversive tuition-free educative and cultural programme that is on course to create disorder in academia. This episode of the Neon Moiré Show is recorded in Leuven, during and& Summit & Festival. 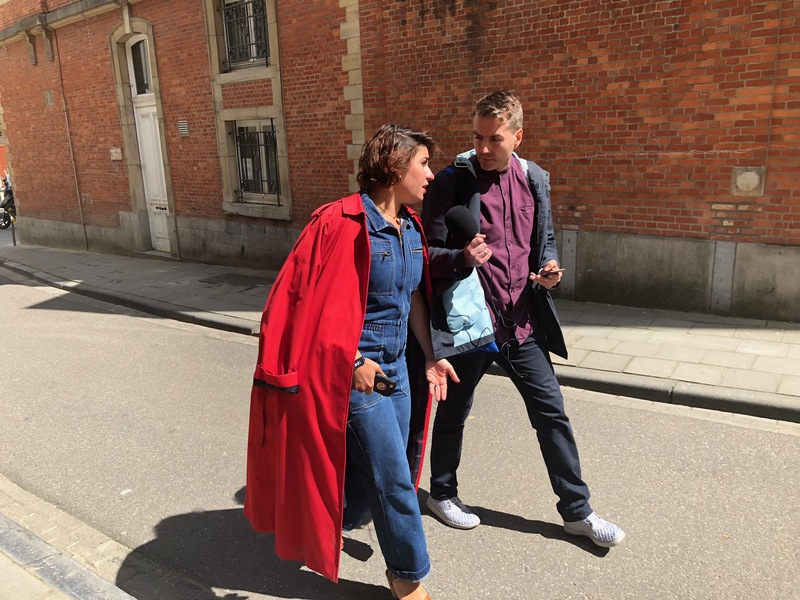 While walking through this beautiful city, Thomas Dahm talk with Dr. Nelly Ben Hayoun about her latest adventure at the avant-garde educational institution University of the Underground, why designing an experience is so important and followed her backstage while she was preparing for her lecture at the Pieter De Somer venue. Dr. Nelly Ben Hayoun and Thomas Dahm in Leuven. Photo: Photo by Galit Ariel.